connect Android Phone on Archlinux as Internet. Well, i just have a android phone for internet connection. Since 2.2 version of android. To connect phone on pc as internet is easy and simple. 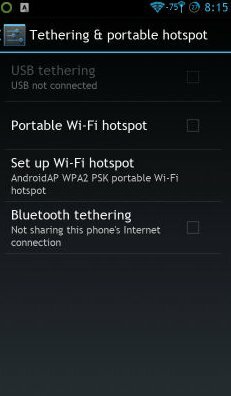 If you have wifi, you can use wifi tethering features, or you can use usb tethering if your pc doesn't have wifi card. For this example, i'm using usb tethering. Just plug in usb on pc. 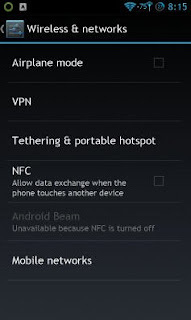 Then on android open Settings, choose more, and tap on tethering & portable hotspot. Now on archlinux machines. USB devices will be list as usb0, and just connect it using dhcpcd.